Accusoft has been developing software for almost 30 years now. In that time, the way software is delivered has changed. Because the way software is delivered has changed, the way software is built has also changed. Back in the early days of software, once you were "code complete," there was often several weeks or months of additional overhead to get your software to your customers. Things like mass producing the floppy disks or pressing the CDs, printing the paper manual, and having all that shrink wrapped and shipped to your customer. Because there was so much overhead in getting your software to the customer, release cycles were very long, and making sure what you delivered was as bug free as possible was very important (was patching even a thing back then?). Today delivering software has become much easier. Engineers write the code, documentation, and tests all at once, and with a quick click of the mouse the code can be deployed and available for customers. This reduced friction is what enabled the Agile Development Methodology. When I took over the PrizmDoc product group back in December of 2016, much of the way things were being done still reflected the development practices of the past. Long release cycles, deadlines being pushed back so one more feature could be added, features developed that didn't solve the customer's problem, hundreds of hours of manual testing, and on and on. All of this despite the fact we were "Doing Agile." We had daily standups. We had two week sprints. We had a backlog. We had Sprint Reviews. No one, however, would argue we were agile. My goal was to change that. These are all things any good plan consists of but it was important to have that plan and follow through. To learn more about this methodology and explore the areas of success, you can download the full article here. John joined Accusoft as a Development Manager in 2014 and is now the Director of Self-Hosted Solutions. His duties include managing the PrizmDoc product family as well as the architecture team. Additionally, John serves as an Agile coach here at Accusoft. 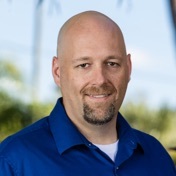 Before joining the team, John spent 15 years in the healthcare information technology field building and designing client-server, desktop, and SaaS-based practice management and EHR software.